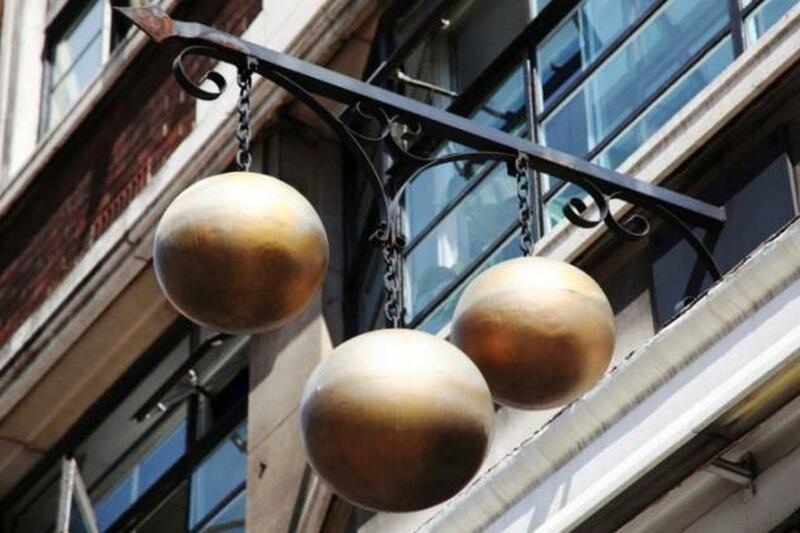 The international pawn symbol is that of three gold spheres hanging from a bar. There are several competing theories on the origin of this symbol. Some tie it to the infamous Medici dynasty, a family of monarchs, bankers, and even Popes. The legend was that an early member of the clan killed a giant with three bags of rocks, hence the spheres. Merchants attributed this symbol with prosperity and adopted it as their own, hanging it outside their shops. Others claim the three spheres are symbolic of the aforementioned story of Saint Nicholas and his three sacks of gold.